Manchester United are reportedly set to offer Juan Mata a new contract. The Spaniard has been a mainstay at the Old Trafford club ever since his arrival from Chelsea in January 2014, back when he was signed by ex-boss David Moyes for a club record fee. He has since made over 140 appearances for the Red Devils, and during their recent 0-0 draw against Crystal Palace in the Premier League, the playmaker reached a vital milestone. 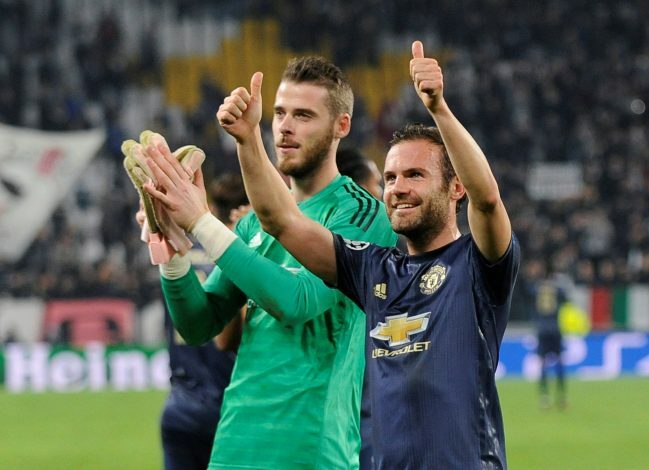 On Saturday, Mata made his entry into the list of top 100 players to have made the most appearances for Manchester United in the club’s history. And that hope of his may just be fulfilled, as Manchester United look set to offer the player a new 3-year deal, the Mirror have revealed. Mata’s current contract is set to expire at the end of the season, and that has, in return, attracted interest from several top European clubs, including Premier League outfit Arsenal and La Liga giants Atletico Madrid as well as Valencia. But with this new deal, the Mancunians could very well secure the services of their experienced veteran until the summer of 2022.